A trip to the grocery store prompted another mouthwatering look at the wonderful fresh fruits that BC has to offer! I grabbed some fresh peaches, apples, blueberries and have to admit snuck some strawberries in in as well. Pre-heat oven to 350 degrees – I use convection. 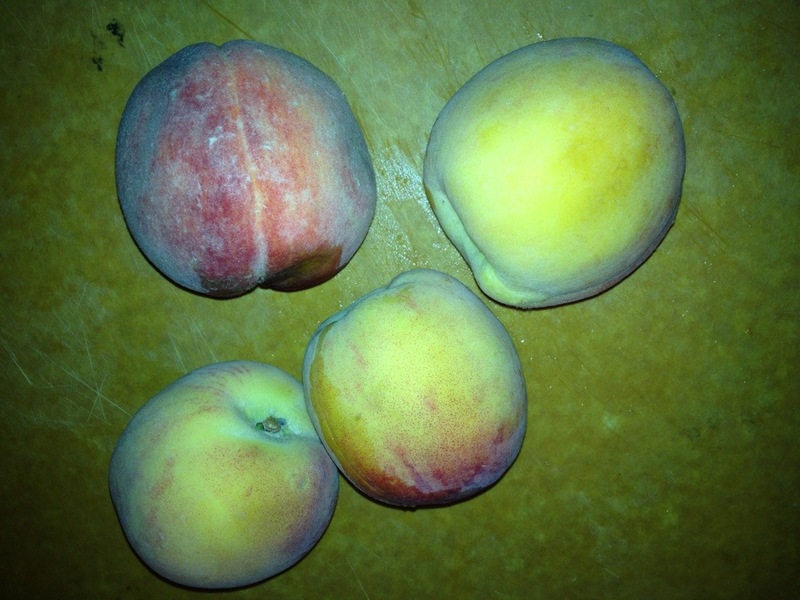 Take the skin off the apples and peaches and cut or slice in to small pieces and put in a deep bowl. Add the blueberries and cut up strawberries as well as chocolate. In a bowl stir the flour, sugar, butter, cinnamon and oats with a fork gently trying to keep it somewhat chunky. 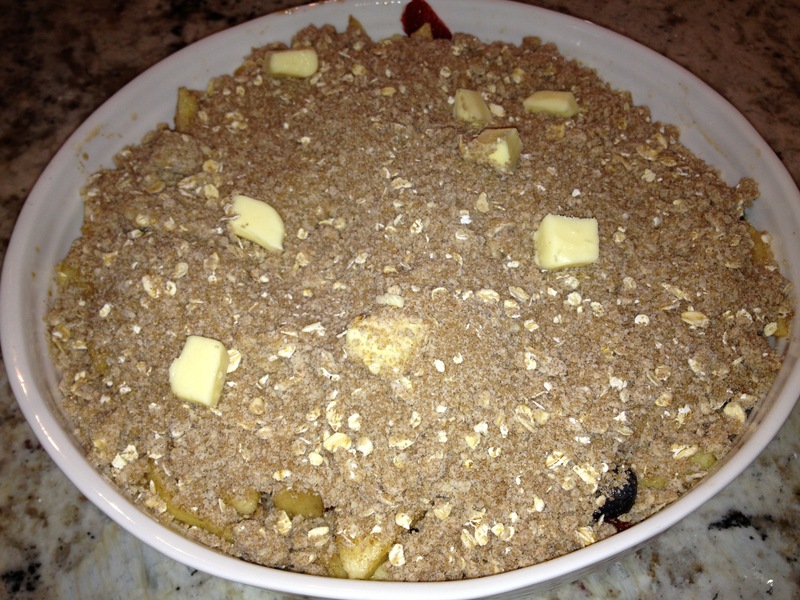 When you have the ingredients blended please out your fruit into your baking dish and cover the top with the topping mixture. Now place in the oven and cook for approx 35-40 mins or until you see the fruit bubble on the sides and the topping brown. Take out of the oven and let sit for approx 10 mins. Spoon Into your favorite bowl and top with either ice-cream or fresh whip cream or why not BOTH! It is an easy and comforting sweet treat! 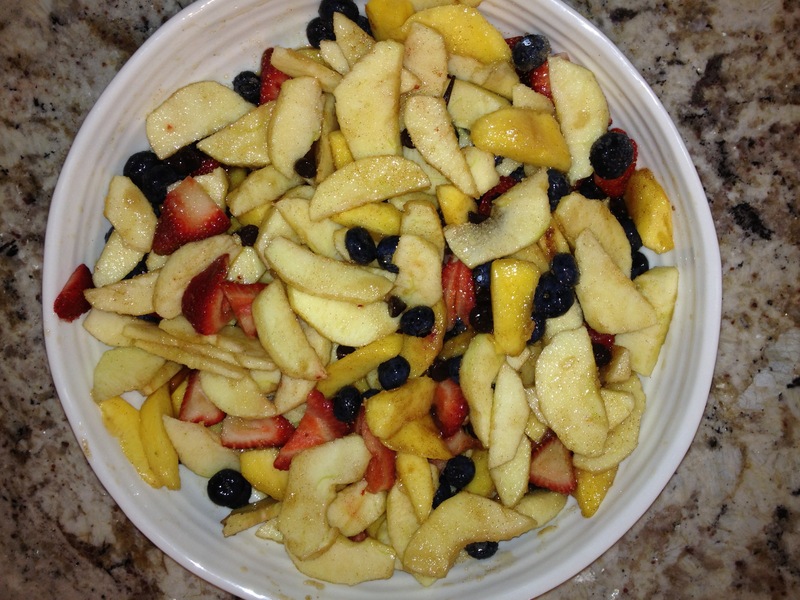 It can I course be made with or without the bourbon and with Fresh or Frozen fruit…. My favorite is always FRESH! There is always something better and so much more favorable about fresh fruits. Posted on August 17, 2012, in Great flavors. Bookmark the permalink. 1 Comment.